5235 / 272 / 1300 (960 €) / 1000 mil. June 13, 1986 Joseph Segel (founder of Franklin Mint) founds QVC that stands for Quality, Value, Convenience. 1992 Fox Broadcasting (CEO Barry Diller) purchases a 3 % stake in QVC for USD 25 mil. 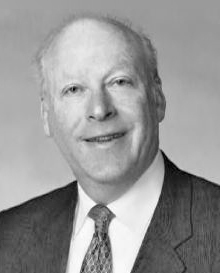 1993 Segel retires and Diller becomes CEO. 02/1995 Comcast purchases a majority shareholding in QVC and Douglas S. Briggs (48) becomes CEO. Earlier he spent 15 years at the Franklin Mint and was employee No. 15 when QVC was founded. Initially he has been in charge of day-to-day operations at QVC for some time. 06/2003 Comcast sells its majority share to Liberty Media. 04/2006 Mike George (from Dell) becomes CEO upon retirement of Doug Briggs. 10/2010 QVC Italy begins broadcasting live from its new studios in Milan to more than 18 million homes. 1977 Clearwater, Florida, radio station debuts home shopping concept. 1982 Home Shopping Club moves to television. 1986 Home Shopping Network makes a public stock offering. 1990 The company's stock moves to the New York Stock Exchange. 1993 Liberty Media Corporation acquires a stake in company. 1995 Barry Diller becomes chairman of HSN after its merger with Silver King. 1999 HSN extends its reach internationally into Germany and Japan. However subsidiaries get dissolved over time: United Kingdom in September 2009, Belgium and Mexico in 2010. 2003 HSN's parent changes name to IAC/InterActiveCorp. 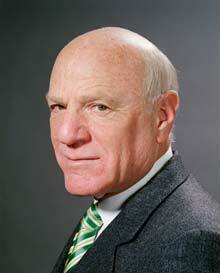 1995 to late 2010, Barry Diller serves also as the Chairman and CEO of IAC InterActiveCorp. Early in 1995 Pro7 TV and Quelle Mail Order setup a joint venture Home Order Televison HOT. 16.Oct.1995 HOT begins broadcasting pre-recorded (pilot project). 1996 HSN joins in with Pro7Sat1 & Quelle. 10/1996 HOT starts live broadcasting..
Liberty Interactive Corporation, formerly Liberty Media Corporation, is a holding company, and through its subsidiaries, is engaged in the video and online commerce, media, communications and entertainment industries. The Company operates in three reportable segments: Leisure, the TripAdvisor Media Network and Egencia. Its Leisure segment provides a full range of travel and advertising services to its worldwide customers through a variety of brands including, Expedia.com and Hotels.com in the United States and localized Expedia and Hotels.com Websites throughout the world, Expedia Affiliate Network, Hotwire.com, Venere, eLong and Classic Vacations. Its TripAdvisor Media Network segment provides advertising services to travel suppliers on its Websites, which aggregate traveler opinions and unbiased travel articles about cities, hotels, restaurants and activities in a variety of destinations through tripadvisor.com and its localized international versions, as well as through its various travel media content properties within the TripAdvisor Media Network. Its Egencia segment provides managed travel services to corporate customers in North America, Europe, and the Asia Pacific region. Through its subsidiaries and affiliates, the Company operates in North America, Europe and Asia. Its principal businesses and assets include its subsidiaries QVC, Inc. and Starz, LLC and its equity affiliates Sirius XM Radio Inc. and Expedia, Inc. On September 30, 2010, the Company changed the attribution of Starz Media, LLC from the Liberty Capital tracking stock group to the Liberty Starz tracking stock group. In December 2010, the Company exchanged its interest in InterActiveCorp (IAC) for all of the capital stock of a wholly-owned subsidiary of IAC that held the Evite and Gifts.com businesses. The Interactive Group are those engaged in video and on-line commerce through its interests in QVC and the e-commerce businesses. markets and sells a variety of consumer products in the United States and several foreign countries primarily through live televised shopping programs and via the Internet through its United States and international Websites. QVC, Inc.’s Websites offers a televised shopping by allowing consumers to purchase a assortment of goods that were previously offered on the QVC television programs, as well as other items that are available from QVC, Inc. only via its Websites. QVC, Inc. offers a variety of merchandise. QVC, Inc. classifies its merchandise into four groups: home (including electronics), apparel, accessories (including beauty products) and jewelry. For the year ended December 31, 2010, home, apparel, accessories and jewelry accounted for approximately 48%, 14%, 25% and 13%, respectively, of QVC, Inc. 's net revenue generated by its United States operations. Expedia, Inc. is a travel services companies, making travel products and services available to leisure and corporate travelers in the United States and abroad through a diversified portfolio of brands, including Expedia.com, Hotels.com, Venere.com, Hotwire.com, Egencia, Classic Vacations and TripAdvisor and a range of other domestic and international brands and businesses. HSN, Inc. is an interactive multi-channel retailer among its two operating segments, HSN and Cornerstone Brands. QVC, Inc. offers retail experiences on TV, online, in catalogs, and in brick and mortar stores. Cornerstone Brands consists of home and apparel lifestyle brands, including Ballard Design, Frontgate, Garnet Hill, Grandin Road, Improvements, Smith+Nobel, The Territory Ahead and Travelsmith. Cornerstone Brands distributes 324 million catalogs annually, operates eight separate e-commerce sites, and runs 25 retail stores. Interval Leisure Group, Inc. is a global provider of membership and leisure services to the vacation industry. Tree.com is the owner of several brands and businesses that provide information, tools, advice, products and services for critical transactions in its customers' lives. Its family of brands includes LendingTree.com, GetSmart.com, RealEstate.com, DegreeTree.com, HealthTree.com, LendingTreeAutos.com, DoneRight.com, and InsuranceTree.com. The Starz Group focuses primarily on video programming businesses. Starz, LLC (Starz), a wholly owned subsidiary, provides networks, which are distributed by cable operators, direct-to-home satellite providers, telephone companies and other distributors in the United States and develops, produces and acquires entertainment content and distributes such content to consumers in the United States and throughout the world. Starz is managed-based on business units, such as Starz Channels (legacy Starz Entertainment business) and Home Video, Television, Digital Media and Theatrical (legacy Starz Media businesses). Starz Channels' principal service offerings are Starz, which is a first-run movie service that generally includes Starz plus five multiplex channels branded with the Starz name, each of which exhibits original programming series and mini-series and movies targeted to a specific audience, and Encore, which airs first-run movies and classic contemporary movies and generally includes six additional thematic multiplex channels branded with the Encore name, each of which exhibits movies based upon individual themes. Starz services also include MoviePlex, a theme by day channel featuring a different thematic multiplex channel each day, on a weekly rotation; IndiePlex, featuring art house and independent films; RetroPlex, featuring classic movies; Starz On Demand; Encore on Demand; MoviePlex On Demand; high definition feeds of several Starz and Encore channels and high definition versions of each of Starz On Demand, Encore On Demand, and MoviePlex On Demand. Starz also offers Starz Online, Encore Online, MoviePlex Online and Starz Play which are Internet complements to Starz and Encore, to cable and telephone companies who offer high speed services and other distributors. As of December 31, 2010, Starz Entertainment had 18.2 million subscribers to its linear Starz channels and 32.8 million subscribers to its linear Encore channels. Programming networks, such as Starz, distribute their services through a number of distribution technologies, including cable television, direct-to-home satellite, broadcast television, telephone networks and the Internet. Liberty Sports Interactive, Inc., a wholly owned subsidiary, develops, operates and licenses fantasy sports games, fantasy sports league-hosting software and fantasy sports content delivered via broadband, as well as providing free online games, information and entertainment for sports fans. Subsequent to December 31, 2010, it was determined that Liberty Sports Interactive, Inc. would wind down operations and cease offering its services. The Capital Group includes all of its businesses and assets that are not attributed to either the Interactive Group or the Starz Group. The assets and businesses attributed to the Capital Group include its subsidiaries: Starz Media through September 30, 2010, Atlanta National League Baseball Club, Inc. and TruePosition, Inc., and its interests in Sirius XM Radio, Inc., Live Nation Entertainment, Inc., Time Warner Inc. and Sprint Nextel Corporation. Atlanta National League Baseball Club, Inc. (ANLBC) owns and operates the Atlanta Braves Major League Baseball franchise. In addition to the Atlanta Braves, ANLBC owns and operates a baseball academy in the Dominican Republic and certain minor league baseball clubs. TruePosition, Inc. is a wholly owned subsidiary that develops and markets technology for locating wireless phones and other wireless devices enabling wireless carriers, application providers and other enterprises to provide E-911 services domestically and other location-based services to mobile users both domestically and worldwide. SIRIUS XM Radio Inc. is a domestic satellite radio company. SIRIUS XM broadcasts to subscribers over approximately 130 digital-quality channels, including more than 60 channels of 100% commercial-free music, plus exclusive channels of sports, news, talk, entertainment, traffic, weather and data through its two satellite radio systems-the Sirius system and the XM system. In addition to the commercial-free music channels, SIRIUS XM's programming lineups also include 65 channels of sports, news, talk, entertainment, traffic, weather and data from such top names as Howard Stern, CNBC, CNN, Martha Stewart, Barbara Walters, Oprah Winfrey, BBC World Service, NPR and Radio Disney. As of December 31, 2010, the Company owned approximately 18% interest of Live Nation Entertainment, Inc. (Live Nation). Subsequent to year end the Company acquired an additional 1% interest Live Nation is organized into five business segments: Concerts, Artist Nation, Ticketing, Sponsorship and E-Commerce. The Concerts segment involves the promotion of live music events globally in the Company's owned and/or operated venues and in rented third-party venues, the production of music festivals and the operation and management of music venues. The Artist Nation segment provides management services to artists and other services including merchandise, artist fan sites and VIP tickets. The Ticketing segment principally involves the management of the Company's ticketing operations. The Sponsorship segment manages the development of strategic sponsorship programs in addition to the sale of national and local sponsorships and placement of advertising including signage and promotional programs. The E-Commerce segment provides online access for customers relating to ticket sales and event information and is responsible for the Company's primary websites, www.livenation.com and www.ticketmaster.com. The Company competes with 1-800-FLOWERS, FTD, Teleflora, Orbitz, Travelocity, Priceline, American Express and Navigant International. HSN and Cornerstone. HSNi offers a differentiated retail experience on television, online, via mobile, in catalogs, and in brick and mortar stores. HSN delivers an assortment of products and brand names, and broadcasts live 24 hours a day, seven days a week, 364 days a year, reaching approximately 96 million homes. In addition, HSN offers services, such as HSN Shop by Remote; mobile applications, including HSN apps for iPad, iPhone, Android, and HSN on Demand. Cornerstone consists of home and lifestyle brands, including Frontgate, Ballard Designs, Garnet Hill, Smith+Noble, The Territory Ahead, TravelSmith and Improvements. Cornerstone operates eight separate e-commerce sites, distributes more than 275 million catalogs annually, and has 20 retail and outlet stores. HSNi markets and sells a range of third-party and private label merchandise directly to consumers through HSN, which includes the HSN television network and its related Website, HSN.com, as well as through Cornerstone’s portfolio of catalogs and related Websites. HSN is a retailer and interactive lifestyle network offering an assortment of products through television home shopping programming on the HSN television network and through its business-to-consumer Internet commerce site HSN.com. HSN includes the HSN television network and its related Website, HSN.com, and a limited number of outlet stores. The HSN television network broadcasts live, customer interactive television home shopping programming. Programming is divided into separately televised segments, each of which has a host who presents and conveys information regarding featured products, sometimes with the assistance of a representative from the product vendor or someone that it retains to aid in the sale of the goods. HSN.com is a business-to-consumer Internet commerce site that sells all of the merchandise offered on the HSN television network, together with complementary products and select merchandise sold on HSN.com. HSN produces live programming for the HSN television network from its studios in St. Petersburg, Florida, and distributes this programming by means of satellite uplink facilities, which it owns and operates, to two transponders on the same satellite. HSN2, a network that primarily distributes taped programming on a limited distribution basis, debuted in August, 2010. The satellite transponders are leased on a full-time basis. Each satellite transponder lease provides for continued carriage of the HSN television network on a replacement transponder and/or replacement satellite, as applicable, in the event of a failure of the transponder and/or satellite. HSN has also designed business continuity and disaster recovery plans to ensure its continued satellite transmission capability on a temporary basis in the event of inclement weather or a natural or other disaster. As of December 31, 2010, the HSN television network reached approximately 95.9 million of the approximately 115.9 million homes, in the United States with a television set. Television households reached by the HSN television network, as of December 31, 2010, primarily include approximately 65.5 million households capable of receiving cable and/or broadcast transmissions and approximately 30.4 million direct broadcast satellite system (DBS) households. HSN has entered into multi-year distribution and affiliation agreements with cable television and DBS operators in the United States to carry the HSN television network, as well as to promote the network by carrying related commercials and distributing related marketing materials to their respective subscriber bases. As of December 31, 2010, HSN had contracts with many local and national pay television operators to distribute HSN television programming. Some of HSN’s larger pay television operators include Comcast, DirecTV, Echostar/DISH and Time Warner. HSN television network sales from customers residing in households that subscribed to these pay television operators accounted for approximately 27% of HSNi’s annual revenue during the year ended December 31, 2010. As of December 31, 2010, HSN had affiliation agreements with 30 low power broadcast television stations for leased carriage of the HSN television network with terms ranging from several weeks to several years. In exchange for this carriage, HSN pays the broadcast television stations hourly or monthly fixed rates. HSNi’s subsidiary, Ventana Television, Inc. (Ventana) owns 27 low power broadcast television stations that carry the HSN network on a full-time basis. HSN also includes HSN.com, a transactional Internet site that sells merchandise offered on the HSN television network, as well as select merchandise sold on HSN.com. HSN.com provides customers with additional content to support and enhance HSN television programming. HSN.com features more than 16,000 product videos. Cornerstone consists of a number of branded catalogs and related Websites, the primary of which are Frontgate, Ballard Designs, Garnet Hill, Smith+Noble, The Territory Ahead, TravelSmith and Improvements, and 20 retail and outlet stores. Frontgate features bed, bath and kitchen accessories, as well as outdoor, patio, garden and pool furnishings and accessories. Ballard Designs features European-inspired bed, bath, dining and office furnishings and accessories, as well as rugs, shelving and architectural accents for the home. Garnet Hill offers bed and bath furnishings and soft goods, as well as apparel and accessories for women and children, and Smith+Noble offers custom home furnishings and window treatments. The Territory Ahead offers casual apparel for men and women and TravelSmith offers travel wear for men and women and related accessories. Improvements features thousands of home, patio and outdoor products. The various brands within Cornerstone incorporate on-site photography and real-life settings, coupled with related editorial content describing the merchandise and depicting situations, in which it may be used. Branded catalogs are designed and produced in-house, which enables each individual brand to control the production process and reduces the amount of lead time required to produce a given catalog. New editions of full-color catalogs are mailed to customers several times each year. Cornerstone also operates Frontgate.com, BallardDesigns.com, GarnetHill.com, SmithandNoble.com, TerritoryAhead.com, TravelSmith.com and Improvementscatalog.com, among other branded Websites. These Websites serve as additional, alternative storefronts for products featured in related print catalogs, as well as provide customers with additional content to support and enhance their shopping experience. Additional content provided by these Websites, which differs across the various Websites, includes decorating tips, measuring and installation information, online design centers, gift registries and travel centers, as well as a feature that allows customers to browse the related catalog online. Ismaning, 20. Januar 2017 – Sonja Piller wird neue Vorsitzende der Geschäftsführung (CEO) von HSE24. Damit rückt erstmals eine Frau an die Spitze des Homeshopping-Unternehmens mit Sitz in Ismaning. Sie folgt zum 1. Februar 2017 auf Richard Reitzner, der nach mehr als 20 erfolgreichen Jahren bei HSE24 auf eigenen Wunsch von der operativen Geschäftsführung in den Beirat der Unternehmensgruppe wechselt und künftig als Active Chairman dessen Vorsitz übernimmt. In ihrer neuen Position als Chief Executive Officer wird Sonja Piller (48), die bislang als Geschäftsführerin Business Development bei HSE24 tätig war, auch weiterhin für die Bereiche Human Resources und International verantwortlich zeichnen. Richard Reitzner bleibt dem Omnichannel- Retailer als erfahrener Stratege weiterhin verbunden: In seiner Funktion als Beiratsvorsitzender begleitet und berät er die Unternehmensgruppe als Active Chairman auf strategischer Ebene. Er wird sich dabei insbesondere auf die konsequente Weiterentwicklung sowie auf die internationale Wachstumsstrategie der HSE24 Group fokussieren. Darüber hinaus wird Richard Reitzner den Aufsichtsratsvorsitz der Home Shopping Europe GmbH übernehmen. Sonja Piller ist eine der erfahrensten Managerinnen im europäischen Homeshopping und HSE24 bereits seit mehr als 10 Jahren verbunden: 2005 startete die gebürtige Westfälin zunächst als Beraterin, ehe sie 2007 die Position der Direktorin Einkauf Hardgoods und Schmuck übernahm. Im darauf folgenden Jahr wurde sie zur Bereichsleiterin Einkauf & Planung ernannt und in die Geschäftsleitung berufen. Seit 2016 verantwortet sie als Geschäftsführerin Business Development (CBDO) die Bereiche Human Resources, International und Organisationsentwicklung. Vor ihrer Zeit bei HSE24 war die Retail-Expertin als selbstständige Unternehmensberaterin tätig und in großen Handelsunternehmen beschäftigt – unter anderem in der Geschäftsleitung von QVC Deutschland als Director Merchandising Home und Beauty, Brand Development und Merchandising Operations sowie in leitenden Funktionen im Einkauf bei Liberty Damenmoden und Karstadt. Sonja Piller steht künftig an der Spitze einer vierköpfigen Geschäftsführung. Neben ihr verantwortet Jan Schulze als Geschäftsführer Merchandising & Marketing (CMO) die Bereiche Omnichannel, Einkauf, Planung & Analyse sowie Production & Sales; Ralph Brugger trägt als Geschäftsführer die Verantwortung für die Ressorts Finanzen, Recht & Reichweite (CFO). In den Aufgabenbereich von Geschäftsführer Operations (COO) Benedikt Schramm fällt die Leitung der Geschäftsbereiche IT, Supply Chain, Customer Experience sowie Business Development & Projects. Die HSE24 Group ist ein internationales und multimediales Homeshopping-Unternehmen. Mit seinen exklusiven und vielfältigen Produkten bietet der Omnichannel-Retailer seinen Kunden rund um die Uhr ein emotionales Einkaufserlebnis. Das inspirierende Lifestyle-Angebot umfasst Mode, Schmuck, Beauty, Home & Living und vieles mehr. In Deutschland, Österreich und der Schweiz präsentiert sich die HSE24 Group mit den Sender-Marken HSE24, HSE24 Extra und HSE24 Trend, in Italien mit HSE24 und in Russland mit Shopping Live. Durch die konsequente Vernetzung der interaktiven Plattformen TV, Online und Mobile ist die HSE24 Group der Innovationstreiber für modernes Homeshopping. Das Geschäftsjahr 2014 hat die HSE24 Group mit einem Nettoumsatz von 649 Millionen Euro und einer deutlichen Gewinnsteigerung abgeschlossen. Die Unternehmensgruppe beschäftigt über 1.100 Mitarbeiter, mehr als 2.600 Beschäftigte sind bei Call Center- und Logistik-Partnern tätig. Seit seiner Gründung 1995 befindet sich HSE24 auf einem nachhaltigen Wachstumskurs und ist seit 2012 mehrheitlich im Besitz von Providence Equity Partners. Weitere Gesellschafter sind Ardian und das HSE24 Management. München, 11.April 2011 HSE24 (Home Shopping Europe GmbH) ist die Erfolgsgeschichte im deutschen Teleshopping-Markt: Auch für das vergangene Jahr kann der Sender aus Ismaning Rekordzahlen vermelden. Mit einer Steigerung des Nettoumsatzes um 12 Prozent auf 441 Millionen Euro (2009: 394 Millionen Euro) liegt HSE24 damit über dem Wachstum des Gesamtmarktes. Dieser liegt mit einem Plus von rund neun Prozent bei über 1,3 Milliarden Euro in Deutschland (Quelle: Firmenangaben). Für HSE24 ist 2010 damit das erfolgreichste Jahr seiner Unternehmensgeschichte: Das bereinigte EBITDA stieg im Vergleich zum Vorjahr um über 40 Prozent - was einem Höchstwert auch in der Rentabilität entspricht. Dabei erstreckt sich das Wachstum des Teleshopping-Spezialisten über alle Plattformen: So erhöhte sich auch der Netto-Umsatz des Online-Shops www.hse24.de um 30 Prozent auf 84 Millionen Euro (2009: 65 Millionen Euro). Der Anteil des wichtigen E-Commerce-Bereichs am Gesamtgeschäft liegt inzwischen bei 19 Prozent und soll mittelfristig auf ein Drittel gesteigert werden. Derzeit arbeiten 610 Angestellte im Unternehmen. Zudem sind mittelbar 2.200 Personen bei Logistik-Dienstleistern und in Call Centern beschäftigt. "Unser Wachstum ist das Resultat einer hervorragenden Sortimentspolitik und der konsequenten Umsetzung unserer Multichannel-Strategie", erklärt HSE24 Geschäftsführer Richard Reitzner. "Ziel ist es, mit HSE24 auf allen verfügbaren Medienplattformen präsent zu sein. Da sind wir im Teleshopping klarer Vorreiter, egal, ob es um TV, Online, Mobile, Video on Demand oder interaktives Fernsehen geht. Dabei müssen auch die neuen Technologien einen klaren Mehrwert beim Einkaufen aufweisen. Unsere Kunden können somit entsprechend ihrer Nutzungssituation entscheiden, wo sie uns sehen möchten". Im vergangenen Jahr wurde die Senderfamilie unter der Dachmarke HSE24 konsequent um den dritten Kanal HSE24 Trend erweitert. HSE24 Trend ist neben HSE24 Extra der zweite Special-Interest Kanal und richtet sich mit den Produktschwerpunkten Mode, Schmuck und Beauty an eine trendbewusste weibliche Zielgruppe. Auch das Profil von HSE24 Extra wird weiter geschärft: Schwerpunkt auf diesem Kanal sollen Wohnen, Küche, Haus & Garten sowie Heimwerken sein. Seit Ende des letzten Jahres können Kunden auch mobil über ihr Smartphone bestellen: Die neue Shopping-Applikation ermöglicht es, parallel zum Live-Programm per One-Touch von unterwegs oder aus dem Wohnzimmer zu bestellen. Auch dieses Jahr steht für HSE24 im Zeichen der Expansion: HSE24 ist auf der neuen Video-on-Demand-Plattform von Kabel Deutschland ‚SELECT VIDEO' frei zu empfangen. Die Anwendung ermöglicht es den Zuschauern, sich die letzten 16 Live-Stunden sowie ausgewählte Marken- und Sortimentsshows anzuschauen. Ab Anfang Mai wird interaktives Fernsehen über die Fernbedienung und direkt aus dem Live-Programm möglich sein. ASTRA Platform Services GmbH (APS) und HSE24 entwickeln derzeit die erste interaktive Shopping-Applikation über HBBTV, die auf hybridfähigen Endgeräten zur Verfügung stehen wird und erstmals Einkaufen über den Fernseher bzw. die Fernbedienung ohne Medienbruch ermöglichen wird. Zusammen mit der Deutschen Telekom arbeitet HSE24 auch an einer Lösung für die erste interaktive Shopping-Applikation auf der Entertain-Plattform. Die Shopping-Applikation wurde bereits auf der CeBIT vorgestellt. Im Sommer wird HSE24 eine App für das iPad anbieten. Direkt aus dem Live-Streaming heraus kann der Kunden dann einfach und bequem über das iPad einkaufen. Ab Juni 2011 geht HSE24 Italien on Air. Die italienischsprachigen Shows werden zunächst in Ismaning produziert; darüber hinaus arbeitet der in Rom ansässige Sender mit einer lokalen Einkaufs-, Call Center- und Logistikinfrastruktur autark. Bei entsprechender Umsatzentwicklung wird das Programmangebot zunehmend live und aus italienischen Studios senden. Über die digital-terrestrische Verbreitung wird HSE24 sehr schnell über 80 Prozent der italienischen Haushalte erreichen. Derzeit zählt HSE24 S.p.A. rund 30 Mitarbeiter; langfristig wird der Sender ca. 500 Personen beschäftigen. "Im italienischen Markt sehen wir sehr großes Potenzial", so Reitzner. "Ziel unserer Multichannel-Strategie ist es, unsere Senderfamilie stetig zu erweitern. Die Expansion nach Italien ist ein wichtiger Schritt, das Thema Homeshopping auch in Europa weiter voranzutreiben." Die schärferen Profile der einzelnen Kanäle, die Cross-Promotion über alle Vertriebswege hinweg sowie die erfolgreiche Sortimentspolitik kommen beim Verbraucher gut an: Über 7,5 Millionen Personen haben bereits bei HSE24 eingekauft, das sind mehr als zehn Prozent der geschäftsfähigen Bundesdeutschen. Im vergangenen Jahr haben rund 1,5 Millionen Kunden beim Münchener Homeshopping-Spezialisten bestellt. Durchschnittlich nimmt HSE24 35.000 Calls pro Tag entgegen, das entspricht ca. 13 Millionen Anrufen im Jahr 2010. Außerdem wurden in 2010 8,5 Millionen Pakete mit insgesamt 17,4 Millionen Einzelprodukten versendet. Das Interesse der hauptsächlich weiblichen Zielgruppe gilt dabei vor allem den Segmenten Beauty und Wellness (28 Prozent) sowie Mode (24 Prozent). Weitere Produktbereiche sind Home & Living / Haushalt (21 Prozent), Schmuck (18 Prozent) sowie House / Garden / Hobby / Home Electronics (9 Prozent).